With that in mind, check out some of these beautiful runners and placemats that can wow a crowd. Most will have a link to the original site tutorials – so you can make your own! With the tutorials giving you various ways to make runners and mats, don’t feel constrained to mimic their design patterns or colors. If you see a fabric that can work for your geographical area (not everyone has falling leaves) and personal taste, use the tutorials as a base to make your creations unique. As always, the Frugal Gal is all about sharing. If you’ve made some beautiful runners and mats, I’d love to see them and even share them if you’d like. Happy Crafting! 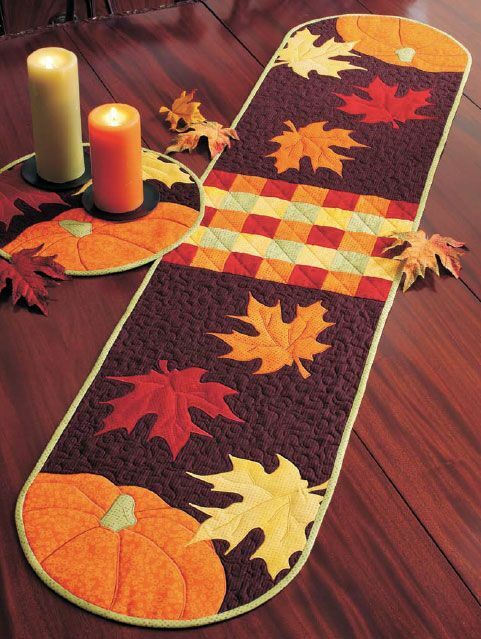 This entry was posted in Party Ideas, Seasonal Decorating and tagged DIY, Fabric, Fall, Make Your Own, Placemats, Runners, Thanksgiving Table Settings by thewritegirlforthejob. Bookmark the permalink.